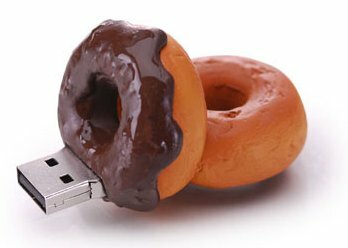 Whether you work in an office, police station or nuclear power plant, donut shaped flash drives will fill your stereotype with a twist. How about the healthier green tea donut to ease it? 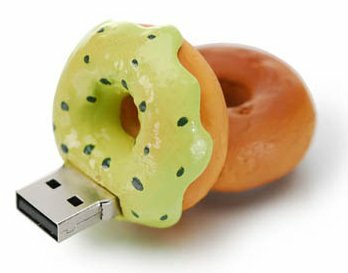 Whatever your choice – if you want to give your machine lots of dough without going nuts then you needn’t crave any further than these memory stick donuts. 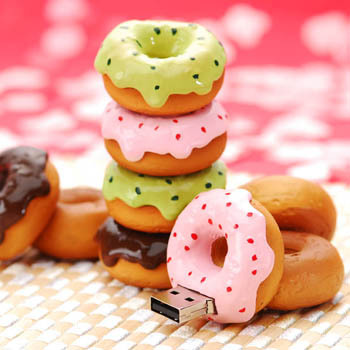 These are by far my favourite flash drives! I love doughnuts (way too much) and these look sooo good. Might not be a good idea for me though because when I see doughnuts and I want one, so I’d end up munching them a lot more. 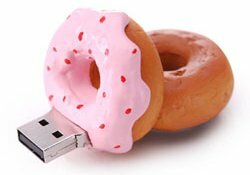 Now I want a doughnut! This just shows why I shouldn’t get one of these, I’d end up the size of my office. I bet my mom would love these though, doughnuts are her favourite. Oh my, now you got me hungry! I love this blog. Doughnuts – is there anything they cant do?